OT:gusto ko sanang palitan yung pickups kasi mejo bright. Gusto ko sana yung pwedeng pang all around kahit metal. Okay ba yung seymour duncan custom 5? Oh finally. I have been looking for this thread. 2007 PRS Singlecut in Blues Matteo.Artist Package. Nice weight and chunky neck. 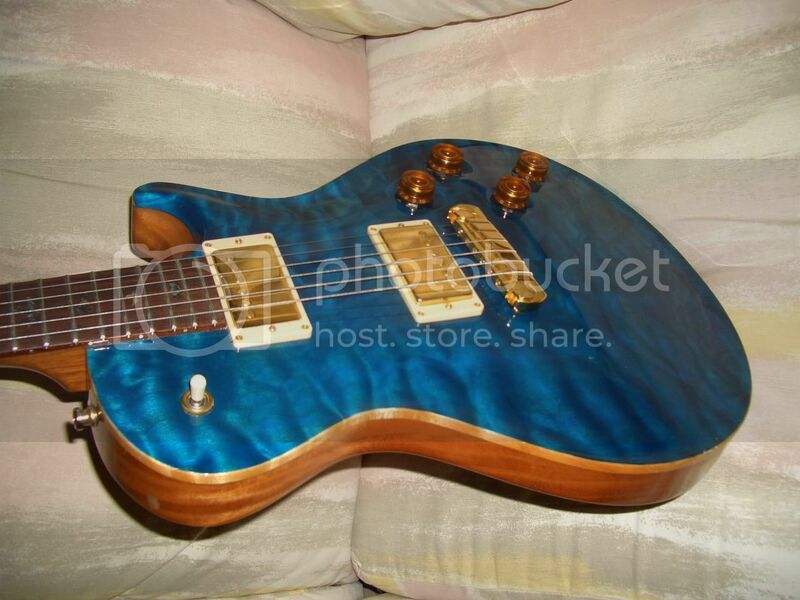 has anyone tried a PRS equipped with a DiMarzio ToneZone or Fred humbuckers? btw: mine is a SE EG. nice feel, very nice sustain. 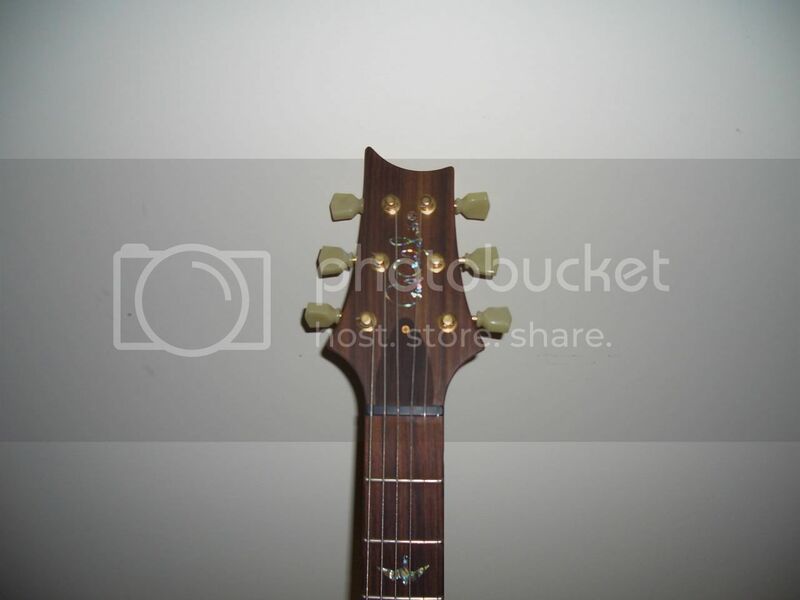 mines a reverse steves special bridge and paf joe neck, with sperzel locking tuners. for me, the regularly placed steves special is brighter, thinner, not that its not good, i just love the reverse, it is perfect for leads and is less trebly but fatter. its not in any way muddy, i love it. paf joe... love the sound. so smooth for lead playing. for more aggressive leads i use bridge and for smooth satch leads, ofcourse, paf joe..
for clean settings, i just use both pickups.. well, generally, whatever pickups im using, i dont use the bridge pickup. i use neck for warmer and fatter tone, or combination of bridge and neck. quacky sound which i love. 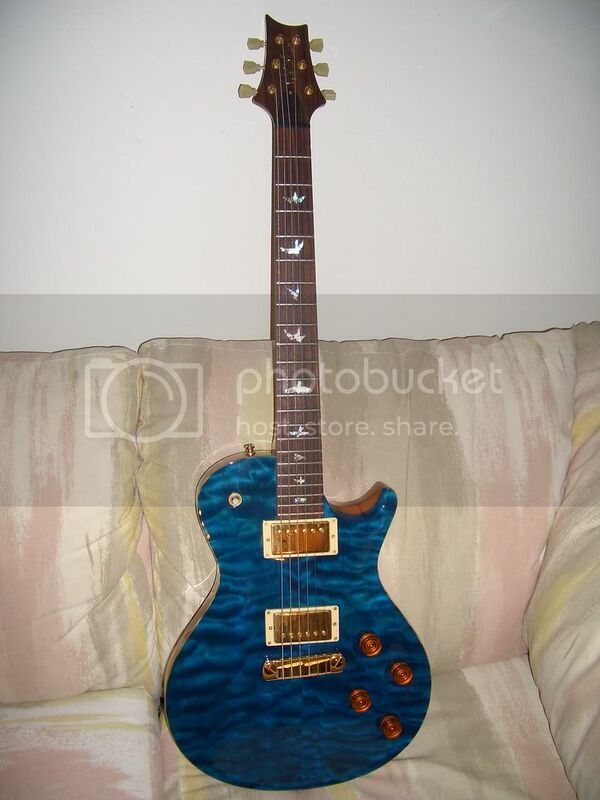 my 2007 PRS SE Standard in vintage mahogany finish bought last november sa JB south mall.. still loving it.. undergoing some cosmetic upgrades.. still loving the tone.. panalo.. now i'm just gassing for a GT-10 or GT-8 or ME-70..
help naman mga sir. i replaced my prs se custom pickups ng dimarzio. 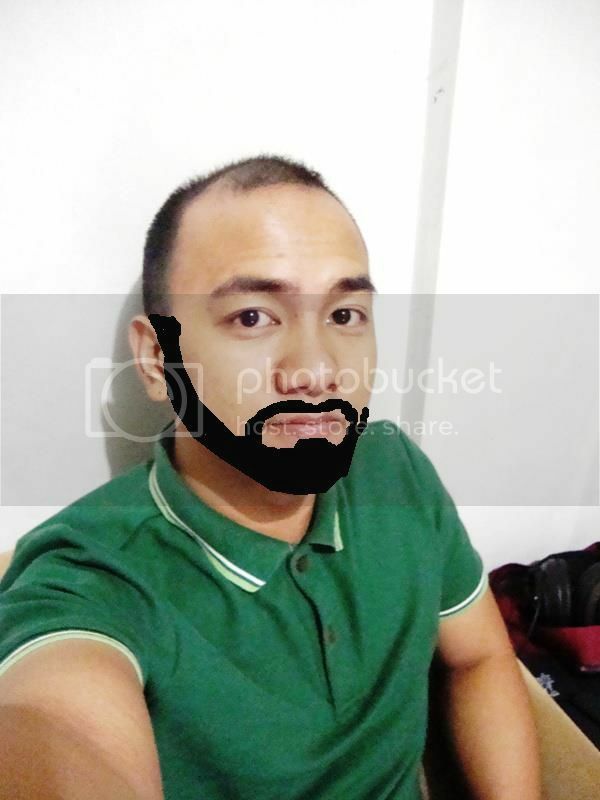 now i will sell na ung mga pickups na un. problem is, i dont know which is the bridge or which is the neck pup. ayoko naman manloko ng buyer. can anyone help me? naaalala mo ba yung color ng lead wires? i think one is yellow and the other is white.. not sure which though..
kung meron ka multi-meter, check mo DC resistance ng pups.. yung neck should be around 9K.. yung bridge 10k..
last bet kung wala na multi-meter..
using a ruler, measure the distance from the center of the 1st pole pice to the center of the 6th pole pice.. dapat mas mahaba yung sa bridge, around 53mm.. tapos yung sa neck around 50mm lang.. f-spaced kasi stock bridge pup niyan..
helped a lot! thank you very much! now ill check it pag uwi ko..
kamusta sir ang EG mo? yan ang GAS ko ngayon e.
the eg is the HSS right? yup.. pero may EG din na S-S-S ang configuration..
Siao! Musta na? Long time, no see ha! Hope you're doing well bro. I didn't know that the SE EGs came in S-S-S config! The original EGs that came out 15 years ago did have an all single-coil config and a bolt-on neck. Unfortunately, it has been discontinued na. I hope JB brings in those S-S-S config here soon! i don't think so.. discontinued na kasi yun eh.. mejo matagal na sir.. hindi ko rin sure kung dumating yung mga yun sa Pinas.. anyway.. the only way to get one is thru ebay.. used na nga lang..
me likey sana yung white with tortoise shell pickguard.. hehe..
question... F-Spaced ba ang kailangan sa bridge ng SE-EG? not sure kung f-spaced sir.. pero you can measure it manually.. pag ang measurement mula sa center ng 1st pole piece hanggang sa center ng 6th pole piece ay around 53mm, then yes, f-spaced po siya.. normally sa mga may trem sa instruments f-spaced.. although hindi naman masyadong pansin ang difference pag naka regular spaced pups ka.. I'm not sure din, Siao pero kung pareho sukat niyan with the Custom, F-spaced yan. Measure mo e string to e string mo. If it's 2 or more inches, F-spaced (or Trembuckers for SD fans ) yan. If less than 2 sya, regular spaced. But based on other trem-equipped SE models I've seen, it looks like SEs are F-spaced..
i just dont know how to post pics lol..
here's the finished product of again another blood and sweat customization.. i was sent a pair of chrome mounting rings which i grinded down to be able to make a staggered configuration.. not perfect but i got the job done myself.. it was my first time using a grinder, too.. i removed the "retrotron" pup cover of the Bridge since it was hindering me from raising it too much.. it gets stuck on the sides of the mounting ring.. now it's a hybrid of jimmy page.. covered neck and open bridge but with chrome rings.. here's some pics.. hope you like it.. haha..
my pimped 2007 PRS SE Standard in Vintage mahogany finish..
Hey guys, do PRS SE series have a chance against the real thing? I mean much like comparing a Gibson les paul and an epiphone? Something like that? Thanks. "Are you saying that now, things are going to be beautiful?" "I'm saying things will be what they are"